Gurdas Mann With Diljit Dosanjh and Neeru Bajwa - Press Meet - 14 Feb. 2013 at JW Marriott in Sector 35, Chandigarh on Thursday. “The idea struck me two years ago, when I was shooting in Shimla,” explains Neeru about how she came to be a producer. “Later, on the sets of my film, Jatt & Juliet, I discussed with dear friend Diljit about wanting to make a film with Gurdas Maan ji and him in it,” Neeru Bajwa Said. Dreams do come True UPCOMING FILM .. 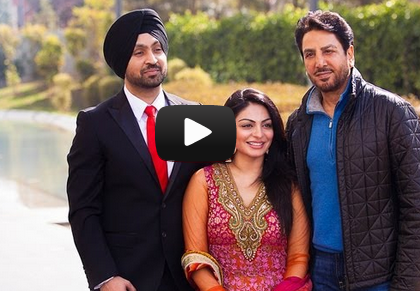 Starring - GURDAS MAAN , DILJIT DOSANJH & NEERU BAJWA ..! At the event, Maan also shared information about his upcoming film, Punjabi-e-Zubane, which would star Neeru Bajwa amongst others.